It is unnecessary to describe methods by which power for mining purposes has been obtained—that is, up to within the last five years—beyond a general statement, that when water power has been available in the immediate locality of the mine, this cheap natural source of power has been called upon to do duty. Steam has been the alternative agent of power production applied in many different ways, but labouring under as many disadvantages, chief of which are lack of water, scarcity of fuel and cost of transit of machinery. Sometimes condensing steam-engines have been employed. For the generation of steam the semi-portable and semi-tubular have been the type of boiler that has most usually been brought into service. Needless to say, when highly mineralised mine water only is available the adoption of this class of boiler is attended with anything but satisfactory results. Recently, however, there is strong evidence that where steam is the power agent to be employed the water-tube type of boiler is likely to be employed, and to the exclusion of all other forms of apparatus for the generation of steam. The advantages of this type, particularly the tubulous form (or a small water tube), made as it is in sections, offers unrivalled facilities for transport service. The heaviest parts need not exceed 3 cwt. in weight, and require neither heavy nor yet expensive brickwork foundations. The difficulties in finding water to drive a steam plant are often of such a serious character as to involve the abandonment of many payable mines; therefore, a motive power that does not require the aqueous agent will be a welcome boon. It will be a source of gratification to many a gold-claim holder to know that practical science has enabled motive power to be produced without the necessity of water, except a certain very small quantity, which once supplied will not require to be renewed, unless to compensate for the loss due to atmospheric evaporation. Any carbonaceous fuel, such as, say, lignite, coal, or charcoal, can be employed. The latter can be easily produced by the method described in the Chapter on "Rules of Thumb," or by building a kiln by piling together a number of trunks of trees, or fairly large-sized branches, cut so that they can be built up in a compact form. The pile, after being covered with earth, is then lighted from the base, and if there are no inlets for the air except the limited proportion required for the smouldering fire at the base, the whole of the timber will be gradually carbonised to charcoal of good quality, which is available for the waterless power plant. The waterless power plant consists of two divisions: First, a gas generating plant; secondly, an internal combustion or gas engine in which the gas is burnt, producing by thermo-dynamic action the motive power required. The system known as the Thwaite Power Gas System is not only practically independent of the use of water, but its efficiency in converting fuel heat into work is so high that no existing steam plant will be able to compete with it. The weight of raw timber, afterwards to be converted into charcoal, that will be required to produce an effective horse-power for one hour equals 7 lb. If coal is the fuel 1 1/3 lb. per E.H.P. for one hour's run. If lignite is the fuel 2 1/2 lb. per E.H.P. for one hour's run. The plant is simple to work, and as no steam boiler is required the danger of explosions is removed. No expensive chimney is necessary for the waterless power plant. Where petroleum oil can be cheaply obtained, say for twopence per gallon, one of the Otto Cycle Oil Engines, for powers up to 20 indicated horse-power, can be advantageously employed. These engines have the advantage of being a self-contained power, requiring neither chimney nor steam boiler, and may be said to be a waterless power. The objection is the necessity to rely upon oil as fuel, and the dangers attending the storage of oil. A good oil engine should not require to use more than a pint of refined petroleum per indicated horse-power working for one hour. Fortunately for the mining industry electricity, that magic and mysterious agency, has come to its assistance, in permitting motive power to be transmitted over distances of even as much as 100 miles with comparatively little loss of the original power energy. Given, that on a coal or lignite field, or at a waterfall, 100 horse-power is developed by the combustion of fuel or by the fall of water driving a turbine, this power can be electrically transmitted to a mine or GROUP OF MINES, say 100 miles away, with only a loss of some 30 horse-power. For twenty miles the loss on transmission should not exceed 15 horse-power so that 70 and 85 horse-power respectively are available at the mines. No other system offers such remarkable efficiencies of power transmission. The new Multiphase Alternating Electric Generating and Power Transmission System is indeed so perfect as to leave practically no margin for improvement. 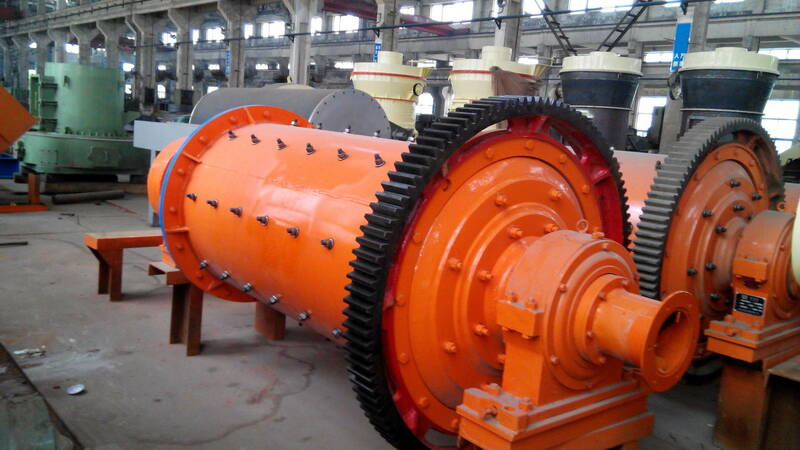 The multiphase electric motor can be directly applied to the stamp battery and ore-breaker driving-shaft and to the shaft of the amalgamating pans. ``` APPROXIMATE POWER REQUIRED TO DRIVE THE MACHINERY OF A MINE. Allow 10 per cent in addition for overcoming friction. Besides this electrical distribution power, which should not cost more than three farthings per effective horse-power per hour, the electrical energy can be employed for lighting the drives and the shafts of the mine. The modern electrical mine lamps leave little to be desired. Also it is anticipated that once the few existing difficulties have been surmounted electric drilling will supplant all other methods. Electric power can be employed for pumping, for shot firing, for hauling, and for innumerable purposes in a mine. Electricity lends itself most advantageously to so many and varied processes, even in accelerating the influence of cyanide solutions on gold, and in effecting the magnetic influence on metallic particles in separating processes; while applied to haulage purposes, either on aerial lines or on tram or railroads, it is an immediate and striking success. It is anticipated that in the near future the mines on the Randt, South Africa, will be electrically driven from a coalfield generating station located on the coalfields some thirty miles from Johannesburg. Such a plant made up of small multiples of highly efficient machines will enable mine-owners to obtain a reliable power to any extent at immediate command and at a reasonable charge in proportion to the power used. This wholesale supply of power will be a godsend to a new field, enabling the opening up to be greatly expedited; and no climatic difficulties, such as dry seasons, or floods, need interfere with the regular running of the machinery. The same system of power-generation at a central station is to be applied to supply power to the mines of Western Australia.